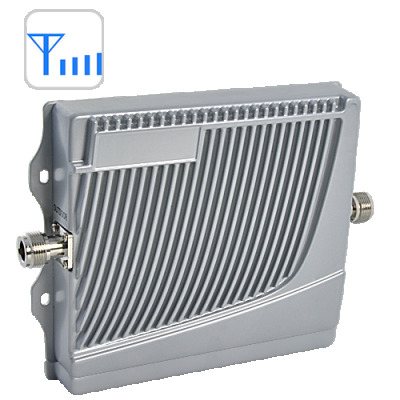 Successfully Added Cell Phone Signal Booster (Dual Band CDMA 800MHz/PCS1900MHz) to your Shopping Cart. Low or no mobile signal inside your room, forcing you to make calls while leaning out a window? Stuck in a 2 year contract but can't use your phone at home or work? Miss loads of calls because you have to leave your phone in one place to get signal? Well no longer with the worldwide use Cell Phone Signal Booster (Dual Band CDMA 800MHz/ PCS 1900MHz). When you are in a normally low-signal zone, buying a new cell phone won't do anything. What you need is this Cell Phone Signal Booster (Dual Band CDMA 800MHz/ PCS 1900MHz) for maximum bars and excellent reception. It even includes everything you need to get it up and running and is suitable for mobile networks worldwide (Dual Band PCS 800MHz/ GSM 1900MHz). Order now and we'll ship it out to you tomorrow. Brought to you by Chinavasion, the leader in consumer electronics. This Cell Phone Booster works in the CDMA 800 and PCS 1900MHz frequency bands, which is most countries worldwide. If you are still not sure, please visit http://en.wikipedia.org/wiki/GSM_frequency_bands and see what frequency band your country is on. No, this Cell Phone Booster was designed to only work with 2G/2.5G/2.75G GSM phones on the frequency bands of 800 and 1900MHz.